Make a statement at meal times with Marvel. The minimal design will lift the look of your breakfast bar. The sleek metal frame has clean lines and angles, giving it an on-trend industrial look. 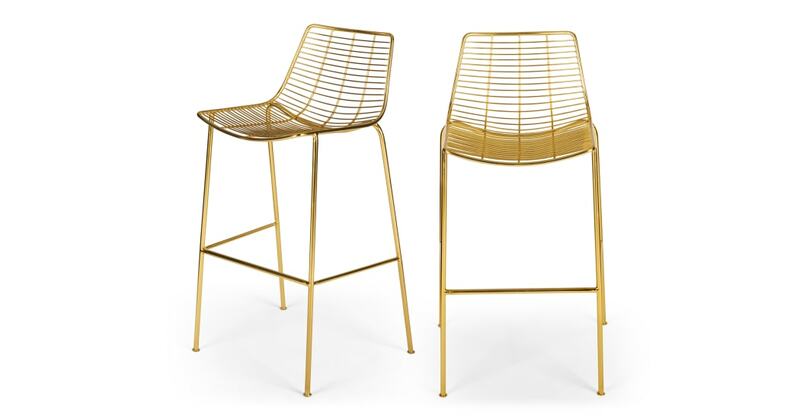 Our Marvel barstool come in two finishes: brass and copper. And as a dining chair, office chair or carver chair, so you can match your look throughout the rest of your home.